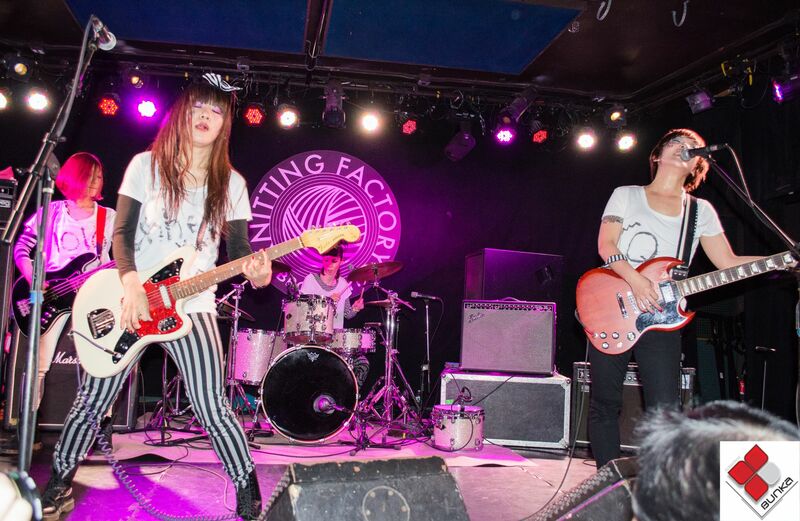 Logbook Bunka about this amazing Japan Nite 2014 held last 3/16 at the legendary Knitting Factory in the heart of Williamsburg (Brooklyn, NY). Versión en español. Venue: Knitting Factory, Brooklyn (NYC). I recognize it! Japan Nite is an emotional antidote to resist the hardest winters. And it’s no wonder. The East Coast of the United States suffered an arctic season with temperatures seem to imagine our life in the coldest place either in Siberia or in the Canadian tundra. However, we feel that the Japanese music delegation led by Audrey Kimura rescue us with their musical high doses of heat to shake our spirits, we were happy to accept these extremely large doses of musical madness and very hard to embrace the arrival of spring. 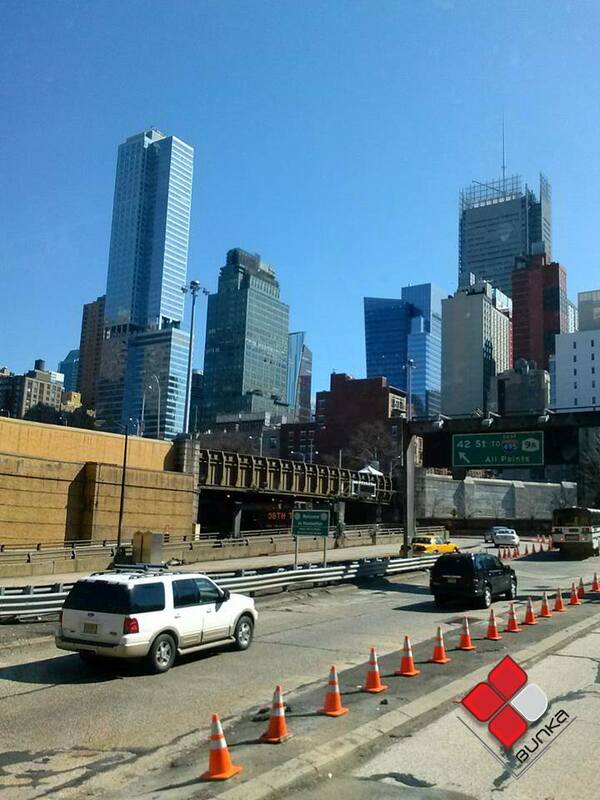 We headed to the Big Apple, although we faced a threat of a possible blizzard like a last gasp to not giving up by Mr. Winter. Nevertheless, the thermometers marked below zero the weather showed us a nice clear sky Sunday; my biggest surprise was when I have arrived to reach the sonic site. 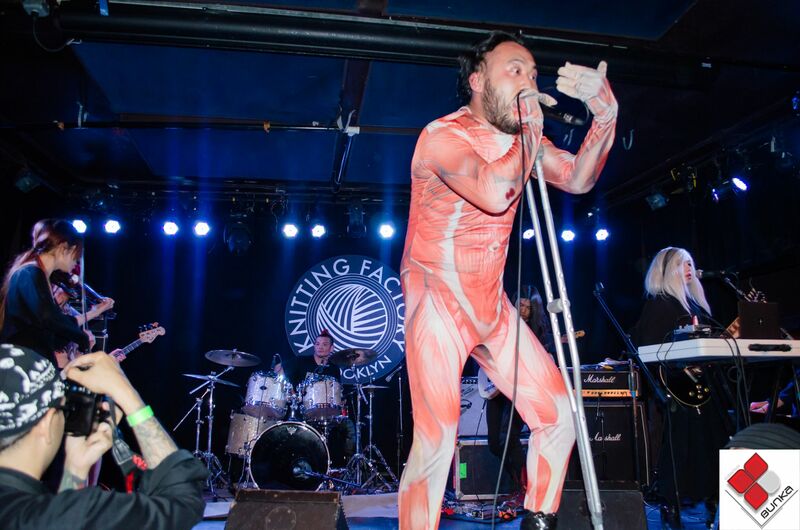 The Knitting Factory has gradually won the hearts of the residents in Williamsburg as lovers of Asian music. As a reminder, The Akabane Vulgars on Strong Bypass played there. Time after, that historical concert was recorded to release Live in Brooklyn (September 2012), a live CD while the band was touring across to the US. At 8 pm (Eastern Time), the show started on time with the presentation of Jungles!!! 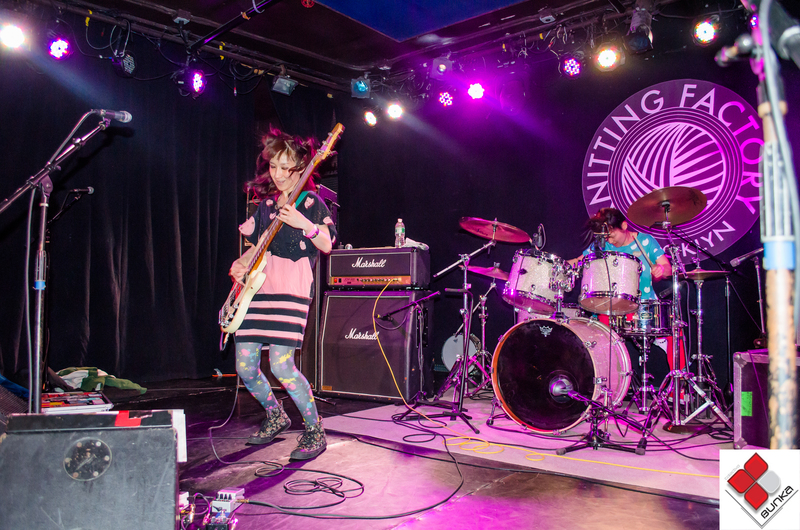 New Yorkers enjoyed the Punk music typical led by Izumi and Jasmine, along with the potential of drums by 325 and powerful bass by Yagoroumaru. Remembering a bit Red Bacteria Vacuum sound mixed with new songs, the quartet received a standing ovation after they played their show for 35 minutes. The emotion of them was obvious why it was not just a reunion of friends but in this greeting they left we had remembered this interview I did them when Izumi and Jasmine with Kassan have been in Philadelphia with A Perfect Circle during the US tour summer of 2011. The second band up on stage and show us their minimalist style full of Rock music and improvisation o stage were Zarigani$ (Zariganidollar). Many attendances who were delighting their ears with bass and vocals by Eri along the beats of the drums and vocals by Mizuki had claimed that they were female Japanese version of The White Stripes, but with style and passion on stage. Their musical chords raised the musical temperature getting so warmer the place. Thus, they showed us the reason for her success both at SXSW this year as SXSW 2012 along their two albums lovingly accepted by her fans: Avocado & Dead Bird. HAPPY overwhelmed us. Being the youngest group tour, these boys from the city of Ayabe demonstrated their maturity and musical creativity overflowed in bright songs, strongest credentials to play on Japan Nite. Alec, Ric, Syu, Bob and Chew taught us a musical class mistral around several American and Western genres but with their own Japanese sound; in fact, HAPPY played us two themes mixed with Blues and Country, which thrilled the crowd. After his show, they became the cheerful teens aged 19 again to share with the public their overwhelming joy because it is their first time debuting in the United States as an international stage. And that contagious joy for us was left in this greeting. Starmarie punctuated with her perfect choreography and J -Pop music for a lot of fans. It is a beautiful and dazzling trio on stage. The smiles and voices of Nozomi, Shino and Shiori caught our attention. 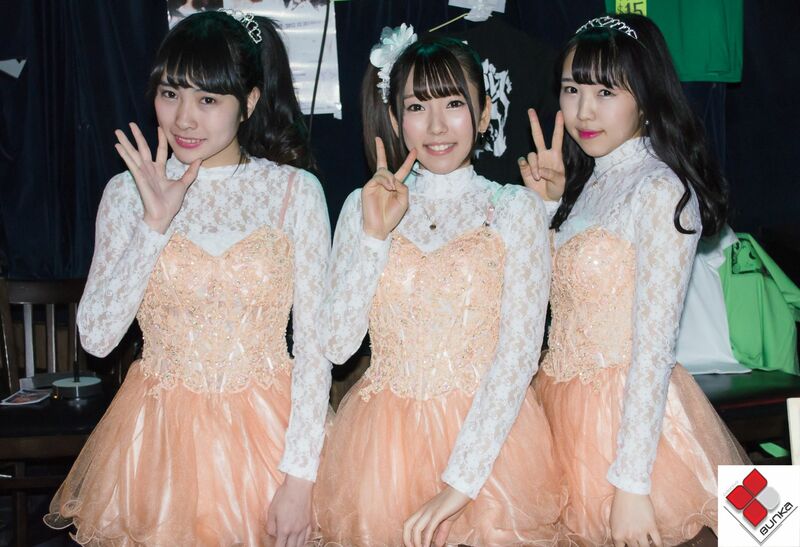 And although this J-pop girl idols is already well known after their successful debut during Animexpo last year, they ventured for the first time on this tour for several cities; Japan Nite opened a space for the J-pop which the applause was her greatest reward. Very accurate her decision to play for this traveling show to announce the release of her new album: Fantasy World 3, scheduled for this April. The trio will continue promoting it in some cities in Japan and will be invited to the international BOA Summer Live in Manila (Philippines) next May. And the responsible for closing with a flourish this Japan Nite 2014 in Brooklyn were Vampillia orchestral project. With a very eclectic sound that leads us to believe the strong upward trend of the boundless creativity of Japanese artists, Vampillia played a long session like a chamber concert about 45 minutes with musical pauses between each track furrowing Grind and Scream extreme melodies mixed with Gothic and Punk and a dash of Classical Rock. The impression of the audience about this orchestra, the largest that has taken this tour, has earned some good reviews and excellent reviews along applauses. 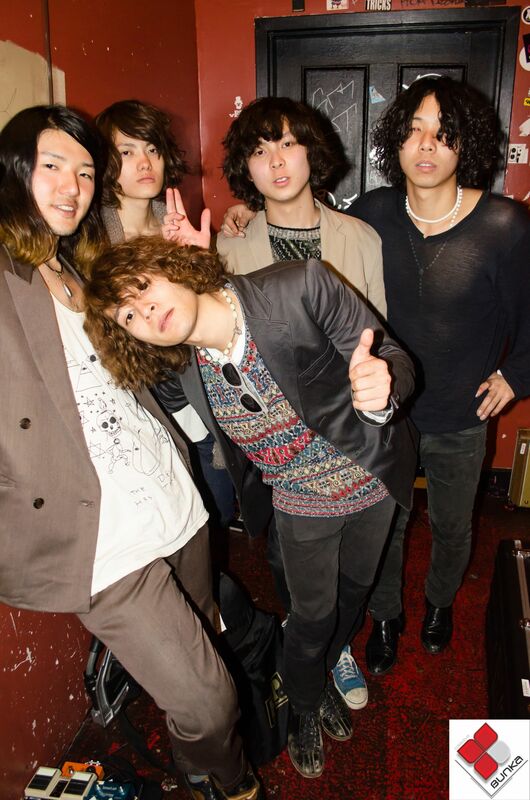 In summary, Japan Nite left us that rich musical taste in our ears and souls. We learned how increasingly J -Rock and J -Pop are getting more attention in North America, but also for us to enjoy and cry for the long-awaited return of the spring and to prepare for the resumption of the concert season and Asian shows. Arigato Gozaimasu! Complete photo gallery in Facebook by Alex Morales.